Definition at line 2714 of file CCopasiXMLParser.h. Definition at line 2722 of file CCopasiXMLParser.h. Definition at line 10189 of file CCopasiXMLParser.cpp. 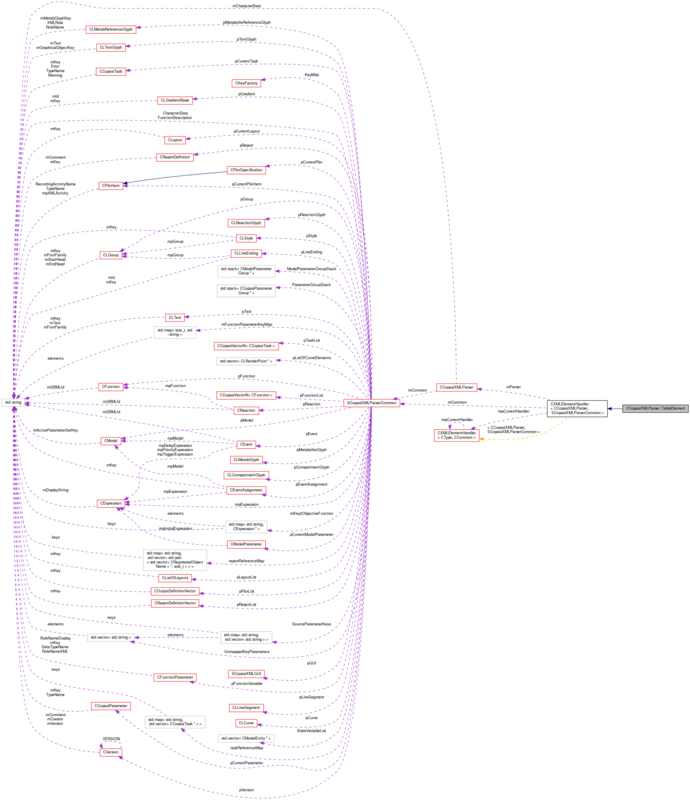 Definition at line 10194 of file CCopasiXMLParser.cpp. 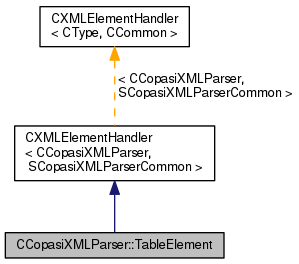 Definition at line 10244 of file CCopasiXMLParser.cpp. References SCopasiXMLParserCommon::CharacterData, CCopasiMessage::EXCEPTION, CReportDefinition::getTableAddr(), CCopasiXMLParser::mCommon, MCXML, CExpatTemplate< CExpat >::mParser, SCopasiXMLParserCommon::pReport, START_ELEMENT, and UNKNOWN_ELEMENT. Definition at line 10199 of file CCopasiXMLParser.cpp. References CCopasiMessage::EXCEPTION, CCopasiXMLParser::mCommon, MCXML, CExpatTemplate< CExpat >::mParser, SCopasiXMLParserCommon::pReport, CReportDefinition::setTitle(), and UNKNOWN_ELEMENT.